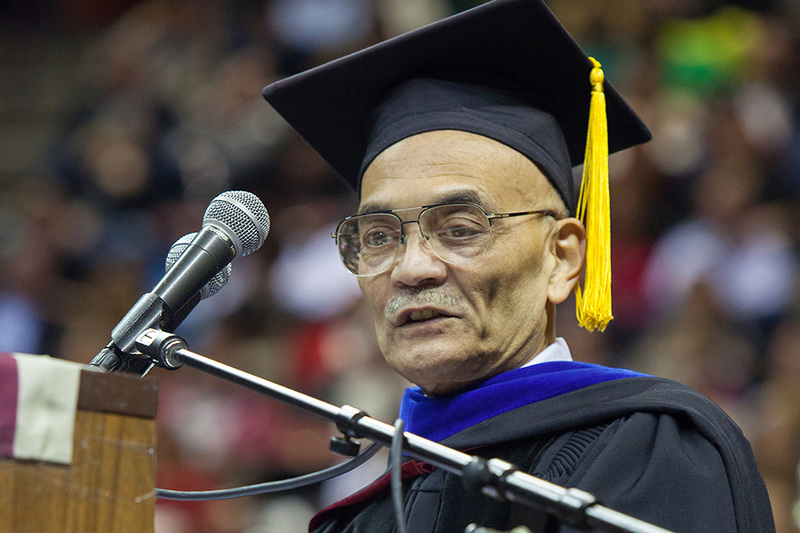 Robert O. Lawton Distinguished Professor Shridhar Sathe spoke at FSU New Student Convocation in 2013. The Florida State University community is mourning the loss of Shridhar K. Sathe, Robert O. Lawton Distinguished Professor and Hazel K. Stiebeling Professor in the College of Human Sciences, who died Thursday, April 4, at the age of 68. Sathe joined the Department of Nutrition, Food and Exercise Sciences in 1988. In his 31 years at FSU, he built an extensive research portfolio in food science and received numerous honors recognizing his academic achievements. Sathe was named FSU’s D.K. Salunkhe Professor of Food Science in 2001, a Distinguished Research Professor in 2006, and most recently was named the Hazel K. Steibeling Distinguished Professor in 2017. But perhaps the most notable achievement came in 2013 when Sathe was selected for FSU’s highest faculty honor, the Robert O. Lawton Distinguished Professor. A prominent researcher in food biochemistry, Sathe spent his career studying food proteins and allergies. A prominent researcher in food biochemistry, Sathe spent his career studying food proteins and allergies. He was a widely cited authority on the role of proteins in food allergy science, particularly in the area of tree nuts and legumes. Sathe’s expertise made him a highly sought reviewer for publishing companies and top scientific journals in food science and technology. In his time at FSU, he brought in more than $3 million in external funding, published more than 150 papers and co-edited two books. 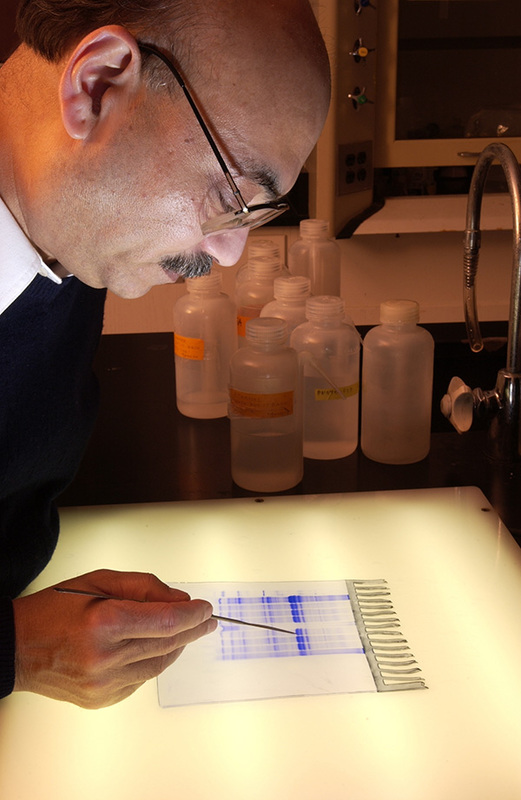 His work was cited by other researchers more than 5,800 times. He also patented 12 technologies that resulted from his work. Sathe was an elected fellow of the Institute of Food Technologists, World Innovation Foundation, International Academy of Food Science and Technology, and American Chemical Society’s Agricultural and Food Chemistry Division. He also was inducted into the Hall of Fame at Purdue University Department of Nutrition, where he spent years as a postdoctoral fellow. In addition to his scholarly achievements, Sathe also excelled as a teacher and mentor. Students often remarked on his dedication to their learning and his motivational abilities. He was recognized by the university multiple times and received FSU’s Undergraduate Teaching Award, the Distinguished Teaching Award and University Advising Award. Doctoral student Sahil Gupta has been a student of Sathe’s for six years. Sathe earned two bachelor degrees from the University of Bombay in Chemistry and Food Technology, followed by a Master of Science in Food Technology. He earned his doctorate in Nutrition and Food Science from Utah State University. Upon graduating, he was an American Heart Association postdoctoral fellow at the University of Arizona and then spent two years of postdoctoral fellowship at Purdue University. In lieu of flowers, the family encourages memorial donations to the Dr. Shridhar Sathe Graduate Scholarship Fund at the FSU Foundation (checks made payable to the FSU Foundation, 325 W. College Ave., Tallahassee, FL 32301-1403).